The money that you donate through Christmas Smiles will help us provide the best possible care at Evelina London and ensure we can go above and beyond what the NHS can provide. Thank you so much. Your donation will go to the Evelina London Children’s Hospital general fund which helps to fund equipment, training and research as well as home comforts such as toys and games which make the hospital experience a little easier for our youngest patients and their families. If you would like your donation to go towards the Play Specialists fund specifically, you will have this option at the checkout. 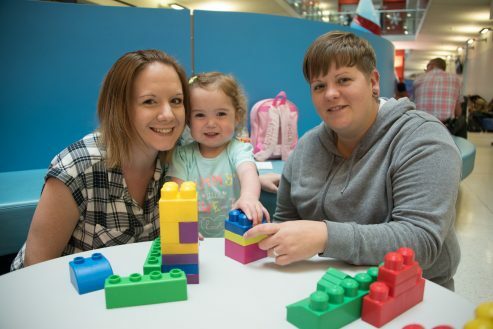 This fund is restricted towards purchasing toys, games, arts & crafts and other items needed by the Play Specialists to support children and their families at Evelina London.